• How are labour and birth designed to work for mother and baby? 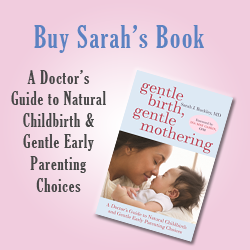 • What processes ensure that both make the safest and easiest transitions from pregnancy to postpartum? • Are there important preparations before birth that optimise these transitions? • How does birth impact breastfeeding? • Might birth also impact maternal-infant attachment and bonding? • Do the processes of birth have longer-term implications for mother and baby? Since 2001 I have been exploring these and other questions about the hormones of labor and birth in my articles, books and talks. In 2002, Mothering magazine published my article Ecstatic Birth, Nature’s Hormonal Blueprint for Labor. This very popular article has found its way into many curriculums, including doula trainings and childbirth classes all over the world. It has also been translated into Spanish as well as Italian and German. The updated article is available as a free ebook on my website for subscribers. Through reading many more scientific and medical studies, I have seen clearly that these hormonal processes are hard-wired into the bodies of mothers and babies as our biological blueprint. The “ecstatic hormones” released during labour, and peaking in the moments after birth, not only give pleasure and reward, but also optimise safety, ease and pleasure for mother and baby. It has been my pleasure and privilege to work with Carol Sakala from Childbirth Connection (now a core program of the National Partnership for Women & Families) to deepen this understanding of the hormones of labour and birth even further with my upcoming report, Hormonal Physiology of Childbearing. 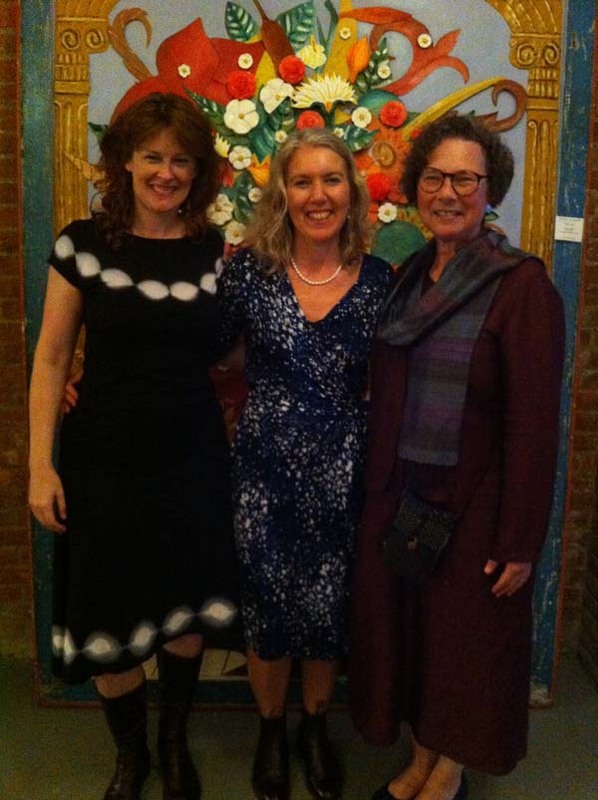 Carol and I had the pleasure of meeting when I was in in New York in September, which was thrilling after working together on Skype for so long- see the picture of us with the wonderful Elan McAllister, founder of Choices in Childbirth who hosted me in NYC. The report explores the childbearing hormones for mother and baby in great depth and detail. This extensive report has over 1000 references to scientific studies and includes an executive summary within its 200+ pages. What is especially exciting is the abundance of recent articles and studies that support the hormonal physiology perspective, and the advantages of “physiologic birth”, which we define as “childbearing conforming to healthy biologic processes.”These publications include new understandings of the critical roles of oxytocin in parenting and in lifelong wellbeing. Many aspects of maternity care, and maternity-care interventions, can interfere with this hormonal flow. Sometimes care practices and interventions are necessary for the safety of mother and/or baby. Understanding the hormonal impacts is the first step to helping mothers and babies to optimise hormonal physiology. From the Hormonal Physiology of Childbearing perspective, every mother and baby is likely to benefit from additional support for physiologic childbearing, as far as safely possible, including when interventions are used. The report will be available in full online for free, along with separate files of abstract, executive summary, recommendations and related items. Watch out for my email on release day January 13 with a link to the report. If you have a newsletter, blog or email and would like to circulate information about the report after its release, please sign up here and I can organise information to come to you on the day of release. Childbirth connection and NPWF will also be using twitter to circulate information and we will be providing some tweets that you can use. We are also keen for blog-writers to blog about the report and would like to reach the fullest range of audiences possible. If you have a blog yourself, or some ideas of places we can contact, please also sign up here.